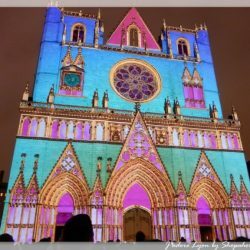 Lyon’s Festival of Lights 2017 will last for 4 days from Thursday 7th to Sunday 10th December. 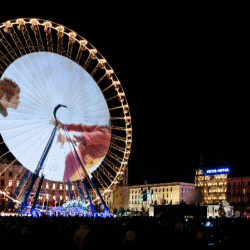 Between the 7th and 10th December, Lyon will host the Festival of Lights 2017, seeing the city light up with over 70 illuminations. 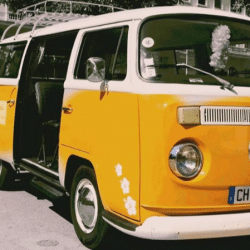 While security remains ever present following the attacks in Paris in 2015, Lyon’s most popular festival is more or less back to its normal form. The 2017 edition of the Festival of Lights, which attracts several million visitors every year, takes place this year over four days, from 7 to 10 December. 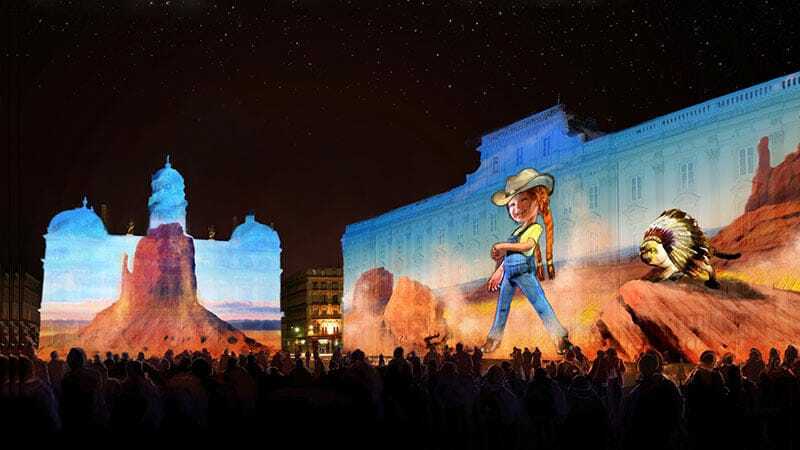 This gives both locals and visitors four nights to admire the city, decorated by lighting designers and artists, from the Vieux Lyon to the slopes of the Croix Rousse. 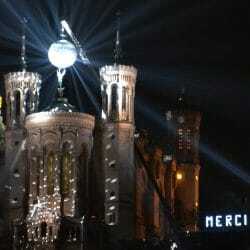 With the cancellation of the festival in 2015 following the Paris attacks in November, the 2016 celebration took place over only 3 nights with a security perimeter, bag searches and reinforced police presence. 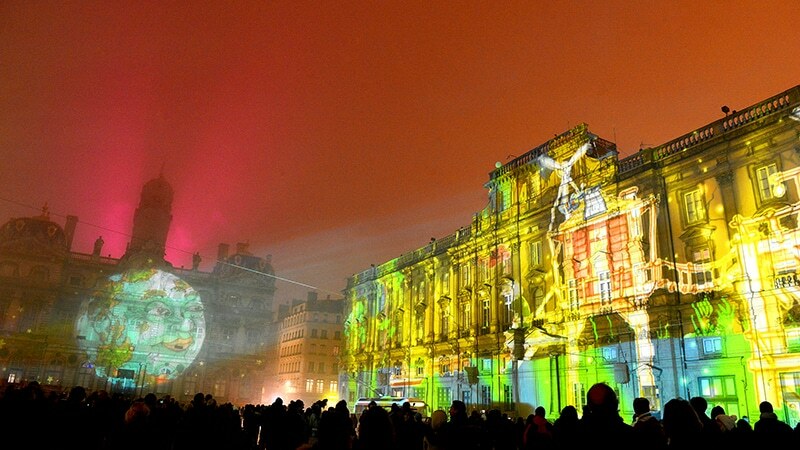 >> Why the first light shows took place in Lyon on 8th December 1852. The real story of the Festival of Lights. There will be more than 1,000 armed law enforcement personnel this year and in order to attend the festival you will have to go through one of the forty gates and likely be subject to a search. 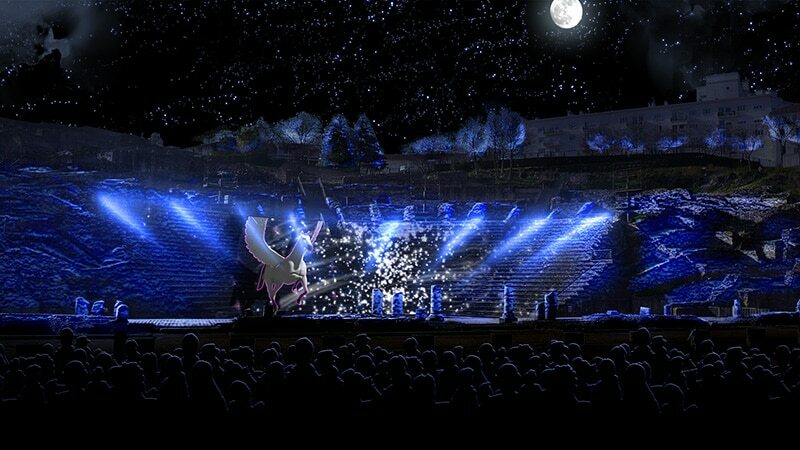 The festival has extended the perimeter in comparison to last year, seeing the festival back on the slopes of the Croix-Rousse and allowing new buildings to be highlighted. 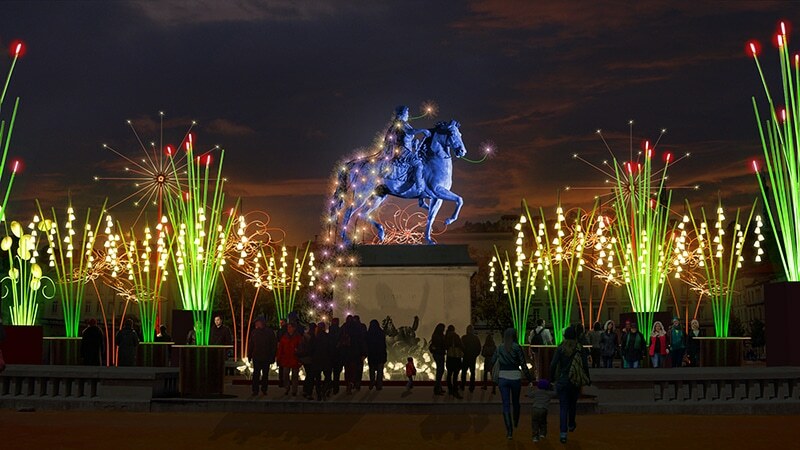 Georges Képénékian, the new mayor of Lyon explains “It’s a big four-day open-air exhibition. This Festival is a marker of our city’s identity. 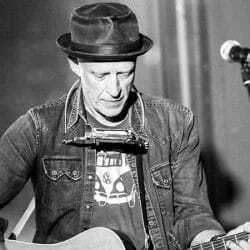 It returns for four days after a three-day edition in 2016 so that as many people as possible can attend it”. This tradition began in on December 8th 1852 when the Catholic population celebrated Virgin Mary by lightning candles on windowsills. 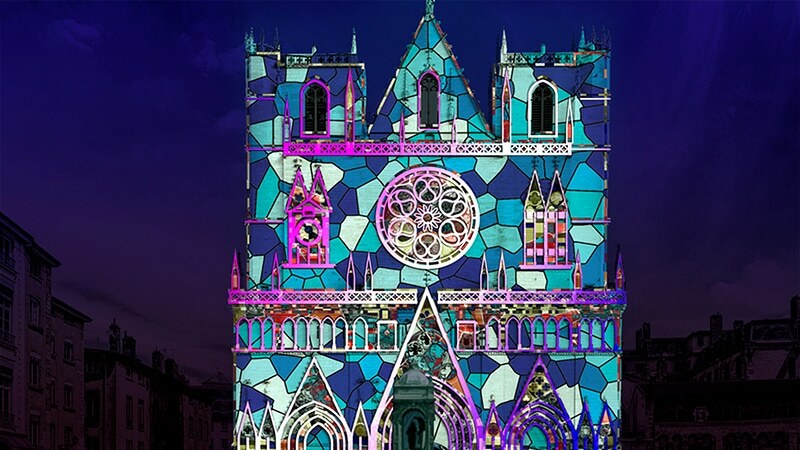 Local still illuminate their windows but Lyon’s historical areas has become renowed contemporary light artists playground since 1999. Illuminations will take place every evening from 8:00 pm until midnight (and 7:00 pm to 11:00 pm on Sunday). 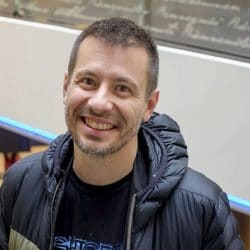 “We asked the Prefecture of Police for 6pm start but there are not enough police forces” says Jean-Yves Sécheresse, deputy mayor in charge of security. 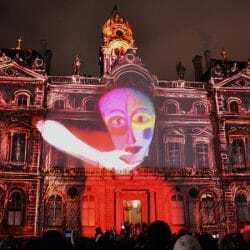 What should we expect from the 2017 Fete des Lumiere? The ascent of the Grande Cote à la Croix Rousse and Lyon’s former oldest hospital, the Hôtel-Dieu, which is currently under construction, will also be highlighted from 4 to 29 December. On top of this, Jean-Moulin College will be lit by a team of Portuguese lighting designers who worked with the students. 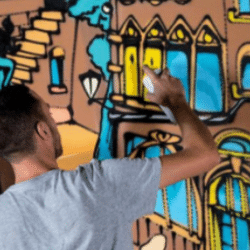 The Bellecour Place post office and the bell tower of La Charité will be illuminated for the first time by a Dutch creative studio with a creation inspired by video games – one of the festival ‘must-sees’. 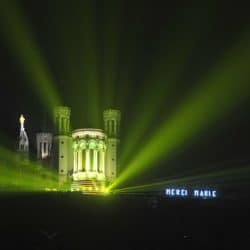 Around 100,000 prayer candles will illuminate the Gallo-Roman theatre in Fourvière for the benefit of the Laurette Fugain association (who support the fight against leukaemia). This will also see the director of the festival, Jean-François Zurawick announce a “unique surprise” in the theatre. 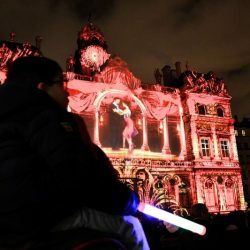 This Is Lyon guides you through all the illuminations by suggesting several routes in the city and gives you all the answers to make your Fête des Lumières a success. 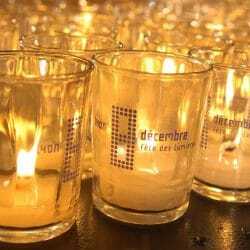 >> Must Read: Our survival guide for the Lyon Festival of Lights.